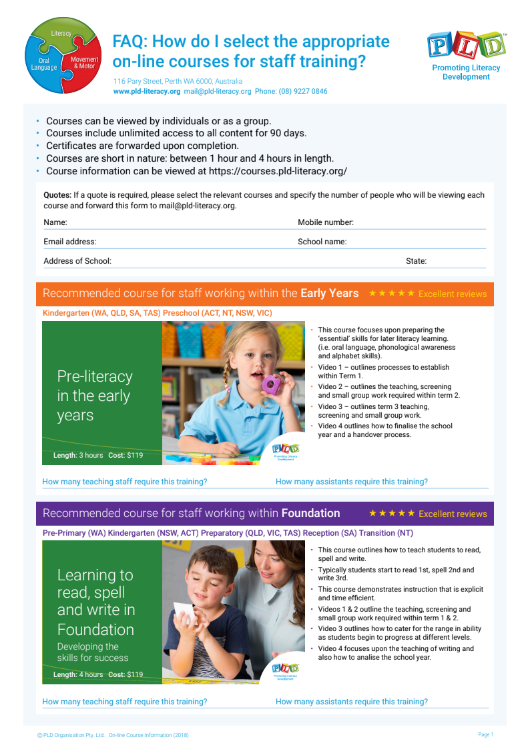 We have created a flyer to help make it easy to choose which course is most appropriate for your needs and the flyer found HERE or see below. 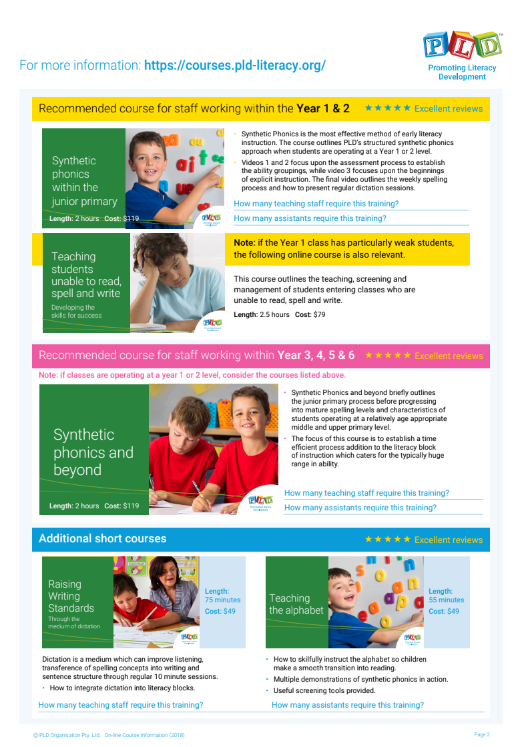 All of our courses can be found at https://courses.pld-literacy.org. Please note that each of the main four age range courses allow the FREE viewing of the first section of the online course. In this way, before registering, it is possible to register for trial viewing. If you would like us to supply a quote for your school, please complete the above form and submit it here.